July 21, 2017 Real EstateBy DEANknows! A Statewide MLS for Louisiana? Rumor has it that some very interesting meetings have recently been held, with some of the major real estate players within Louisiana. The meeting was held by Louisiana REALTORS last week, by the request of mulitple brokers, to discuss the possibility of a statewide MLS, with another follow up meeting already scheduled for next month on the topic. Although everyone is still very closed lipped about the meeting even taking place, it appears that some of the largest real estate brokers in the state are behind requesting the initial talks for a statewide MLS in Louisiana. It’s important to keep in mind that in most locations across the country, REALTOR boards understand that the majority of their value (to their dues paying real estate agents) comes from the Multiple Listing Service. 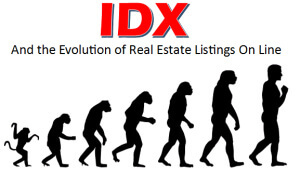 Although most local REALTOR Associations provide other services such as providing CE classes, they understand that the MLS, and the dissemination of IDX to subscribers, is the cash cow of their organization. If they were to lose the MLS side of the business, their future could be bleak. He also cited a recent report by Inman saying that 70% of NAR members felt they had “no choice” in being a member of their local board. He is talking about the fact that many agents feel they must be a REALTOR to gain access to the MLS. Most people are under the impression that their local REALTOR board IS the MLS. Although this is still the case in some smaller areas, most REALTOR Associations own a separate business, the MLS. Local REALTOR Associations (which are sponsored by NAR) are non-profit entities. Most of the larger, forward thinking boards clearly understood that the Multiple Listing Service was going to be much more. They then created a FOR PROFIT company, fully owned by the local REALTOR Association. This lets the MLS make a profit and not interfere with the boards non-profit status. Another MLS option that exists is a broker owned MLS with no direct ties to NAR at all. As a matter of fact, the largest MLS in the country is structured like that. No REALTOR association needed. Let’s speak of the value of being a REALTOR – being a dues paying, card carrying, pin wearing member of the National Association of REALTORS. There is the REALTOR brand. The fact that you can call yourself a “REALTOR” and not simply a real estate agent. Some would argue that the REALTOR title holds little weight in today’s world where online presence dominates the real estate landscape. Zillow has no association with the REALTOR brand, but somehow has dominated the industry since their inception in 2006. Of course there are some agents take great pride in calling themselves a REALTOR and not “just a real estate agent”. Then we have the work that RPAC does. This is the congressional lobbing apparatus and the financial backing of candidates who claim to represent the interests of REALTORS. Most would agree that having a Political Action Committee the size of RPAC should be able to pull some political strings. Whether REALTORS are aware of it or not, this is arguably the strongest asset that NAR has. Of course we have technology. NAR has consistently attempted to implement strategic technology over the years. Some would say that Realtor.com takes our money just like Zillow does. Some may even go further and bring up the massive losses NAR has taken with the RPR project. Lets hope they can find a way to recoop some of our dues money with the NEW RPR, AMP and Project Upstream project. NAR also leverages their size to provide some technology tools either Free or at a discounted rate. Additional pieces of the REALTOR value proposition include arbitration, the Code of Ethics, social gatherings and I have no doubt that I’m missing a couple more. The question here is does the LOCAL board of REALTORS have any real value (relative to the cost of their dues) besides the MLS? They organize bowling parties, provide free CE and pass out lockboxes for sure. But would that be enough to entice members to continue to pay local dues? If Louisiana REALTORS were to create a statewide MLS – we think most local associations would have a hard time surviving. Without the MLS, what would become of the local board? Do they currently provide enough value to their dues paying agents to continue to exist without the real estate data side of the business? Would YOU be a member of your local board if they didn’t have an MLS? For at least the last 5 years of so, there has been a consistent trend of local NAR boards consolidating through acquisitions and mergers. Where it wasn’t that long ago, NAR had sponsored over 900 local MLSs – they are now down to below 700. Although we have seen an increase in overall NAR members, we see a decrease in local associations. Especially associations that do not have their own MLS. Many local boards, even WITH their own MLS, have struggled to stay financially viable. As an example, in the Panama City Florida area, they currently have two competing REALTOR associations and MLSs. If you are a buyer, looking for condos for sale in Panama City Beach – your chosen REALTOR may only have access to a portion of the listings, unless they subscribed to both BCAR and ECAR. Many do not, so some agents don’t have MLS access to all of the listings. These are the situations where it is inevitable that the MLS with over 51 percent of the active listings will eventually win out. This is not to say that ALL boards and MLS are having issues staying afloat; that is not the case at all. There are extremely powerful boards such as HAR (Houston Association of REALTORS) that have even went as far as capitalizing on SEO for real estate to where they even beat out Zillow, Trulia and Realtor.com on Google. But just like anything else the strong get stronger and the weak die off. Would Local REALTOR Boards Disappear? No. Local REALTOR boards are not going anywhere. Lets look at Louisiana’s possibly of providing a state-wide MLS. If the state REALTOR Board – Louisiana REALTORS or LR, were to roll out an MLS, most people would still continue to pay REALTOR dues. Those dues, paid to NAR are divvied out between National, State and Local Boards of REALTORS. We would anticipate a major change in the financial dynamics of how the state is operated. Although this is still in the “talking about it” phase, if it were to happen, the local boards revenue would be cut substantially. Needless to say, the state could give a pro rata share of the MLS revenue back to the local boards. Who knows. Under that circumstance, would the local boards, that do not have a MLS, start receiving a check for their pro rata share of members? Would the state simply cut the dues to all MLS subscribers because they could negotiate a better deal with 15,000+ REALTORS as opposed to even the largest Louisiana MLS? Money Saved In MLS Dues? Once again, we cant stress enough that this is the earliest of the early stages of anything taking place That being said, MLS’s pay a specific amount, for their MLS systems, to the MLS vendors. Those larger MLS vendors are Core Logic, Paragon and in this unique situation…RPR The MLS vendor charges a “per user/per month” fee. The local MLS then administers the MLS, provides training, handles all the MLS duties using that system. When local MLSs put out an RFP and MLS vendors create proposals — the very first question asked is “how many members do you have?” The more members, the less the cost per user. With the state being able to get a substantially lower rate on their “per user/per month” cost (leveraging all REALTORS in the state), they should have money left over… over what was collectively charged by local MLSs across the state. And don’t forget, there is a strong possibly that RPR could morph their system into a full blown MLS. When a better time to do that that with an entire state on board? 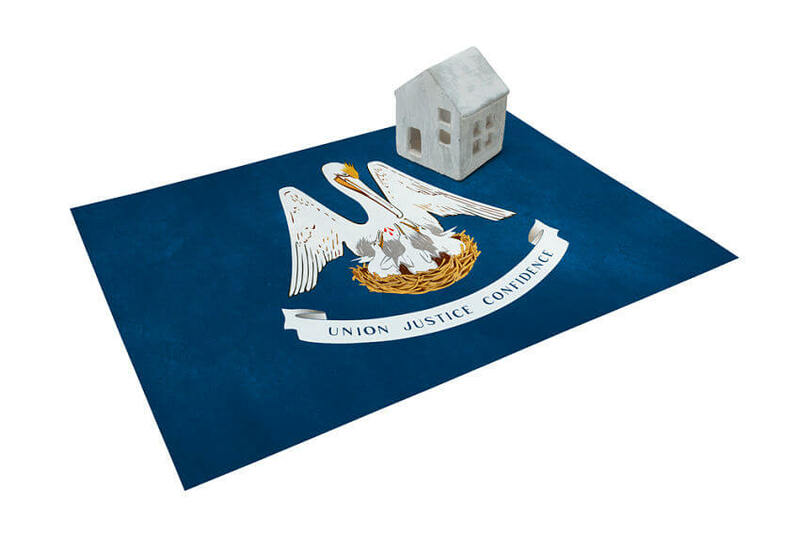 What Is Needed For a State-Wide MLS in Louisiana? The single most important aspect of creating a state-wide MLS looks to be something they Louisiana may already have…buy in from the large brokers. Anytime two MLSs compete, simple math comes into play. If you have 51% of the listings in any area, its inevitable that you will gain users ultimately consuming the smaller entity. Louisiana (not unlike other areas) has a handful of large real estate brokers that have a substantial portion of the listings and agents. If those brokers already want statewide consistency of MLS data, half of the battle is already over. Needless to say, an MLS product would have to be chosen, the obvious choice for that would be RPR. We would anticipate that NAR would most likely give it to the state REALTOR board for free. RPR has been trying to get the data from all of the Louisiana brokers for years; we would expect that they would jump at the chance. Its important to mention that in its current form, RPR is NOT a full blown MLS. Keep in mind, the people behind RPR are very willing to morph their product; just like they are doing by creating AMP and the strategic alignment with the Project Upstream. Needless to say this is all conjecture at the moment, but these powers have been tugging at each other for a long time. What are the Advantages of a Statewide MLS? There are some obvious advantages of any statewide MLS. Now, although real estate agents are licensed to do business anywhere in the state, where they have MLS access determines where they conduct business. There MLS access limits their area of services. If an agent wants to expand into a new area, currently they would have to pay additional MLS fees. Those boundaries would disappear. Louisiana agents and brokers would most likely see smaller MLS fees. 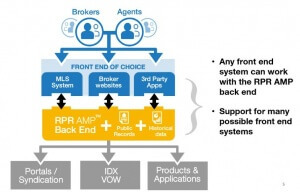 Especially any agent/broker that pays for multiple MLSs now. It has been overheard that another meeting at LR on the subject is already scheduled. They anticipate bringing in the AEs of each respective local board. For those that are not aware, the AE is the Administrative Executive for the board. They are not elected, but hired and oversee all aspects of operation for the local associations. Boy…would I like to be a fly on the wall for that meeting! Well pretty much everyone agrees that these are the extremely early stages. Only putting ideas on the table. The next meeting has been scheduled and the local associations and their staff have been notified. We would anticipate that the local boards will come out with their gloves on. We would like to reiterate to the fullest…these are only ideas at the moment. Only talks. But just like anything else, that’s how it always starts isn’t it?